Whether you’re investigating a query, addressing a complaint or just giving general advice, building rapport is enormously important in the contact centre. Here, we provide you with a list of things to do, during a typical customer service call, to build rapport, whilst giving pointers to what kind of language and statements you should be using. The definition of rapport is a feeling of commonality; people like people who are like themselves. So, if you want to build rapport, you need to demonstrate commonality. By finding common ground, you are creating an environment of “safety” and “belongingness”, which have significance when it comes building rapport. To find common ground, encourage advisors to listen out for signs of genuine commonality, such as if the advisor was to hear a dog bark in the background, they can try to connect through a shared interest in dogs / pets. To get the ball rolling, advisors should take care to mirror the customer’s tone, rate and style of speech throughout each call. This demonstrates strong listening skills, another key ingredient in the creation of rapport. These listening skills can be accentuated through good application of verbal nods and the brief repetition of each of the caller’s main points. This should be complemented, for best results, by an expression of empathy on the part of the agent. By repeating the problem, advisors can show that they are engaged mentally in the process, which demonstrates that the advisor has genuine interest in the matter. This could increase trust between advisors and the customer, consequently aiding the rapport building process. Take, for example, a customer who has called to report the delivery of a faulty product. The advisor who repeats the situation “Your toaster is broken? That’s terrible, Mrs Brown…”, rather than proceeding immediately and emotionlessly to the resolution, will gain an invaluable affinity with the caller. This simultaneously provides subtle assurance that the complaint is now in good hands. It is important for the advisor to assert control of the situation, to take ownership of the problem, and to convince the customer that the matter in question will be put right. This can be conveyed through the advdivor’s employment of a positive, emphatic style of speech, the adoption of an especially courteous vocabulary and the consistent use of concise-yet-energetic sentences. If, as is likely, apologies are called for, the advisor should avoid repeating his or her regret using the same terminology. Instead, an assortment of contrite synonyms should be used, with the word “sorry” being substituted for “I apologise”, “oh dear”, and so on. To help advisors build an emphatic speech style, as mentioned above, it is important to help them avoid a negative mindset, which can damage the rapport building process. By removing negative thoughts and smiling, advisors can convey the message that they are a friendly person to talk to. This creates a feeling of safety, which is an important part of rapport building, according to Maslow’s ‘Hierarchy of Needs’. By encouraging advisors to smile, it can elevate the tone of their voice, meaning that they sound more friendly and warm. So, whilst the customer cannot see it, they are able to see it. 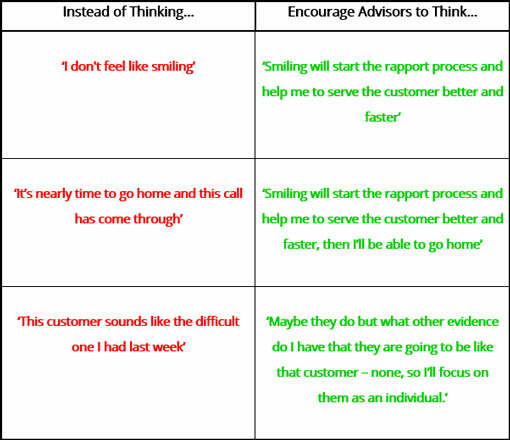 So, to encourage this and to remove any negative thoughts, encourage advisors to change their mindset, just like in the examples that are part of the table below. Two basics that advisors are taught in training is that customers want you to resolve their issue and they want you to acknowledge how they are feeling. Customers might take a couple of minutes to state what their problem is and they might share with advisors how they are feeling about it and the consequences it has had on them. Be Sympathetic – To immerse their selves in the customer’s problems and use statements such as “I understand” or “that must be awful”. Be Empathetic – To clarify what they have heard and then acknowledge that the situation has had distressing consequences. Finally, the advisor would fully commit to addressing the problem and solving it. By following the three basic stages of empathy, as shown above, you can better your chances of building rapport as you are focusing on a solution, rather than dwelling on a problem. However, you have also clarified and acknowledged the problem at hand, furthering trust and mutual understanding. Customer frustration often stems from the amount of effort it takes for an advisor to resolve their query, but you can cut this frustration and build rapport by providing a sense of immediacy. If the customer can sense that you are acting to minimise their “wait time” and decrease the amount of effort that they have to exert, it can only add positivity to the call. So, providing a sense of immediacy, like in the examples below, you can build rapport. Displaying a recognition of the urgency of the matter. The collective “we” suggests partnership, and implores reciprocal cooperation. Demonstrating the agent’s experience in such matters, and hinting at his or her ability to provide a solution. Asserting control and hinting towards spontaneous, possibly discretionary action. Providing a pay-off and showing that the caller’s trust had not been placed in vain. In a situation where the call has ended without a resolution, it is necessary to provide reassurance to the customer that his or her complaint will be seen through to its conclusion. This can be done by utilising a number of heartening, yet slightly informal, phrases, like those listed below. Setting a definite timeframe for the resolution. Promising contact – and following through with this commitment – will help form a basis for long-term trust. Recognising and commenting on the customer’s personal circumstances will lend the call closure a more pleasant, personal touch. 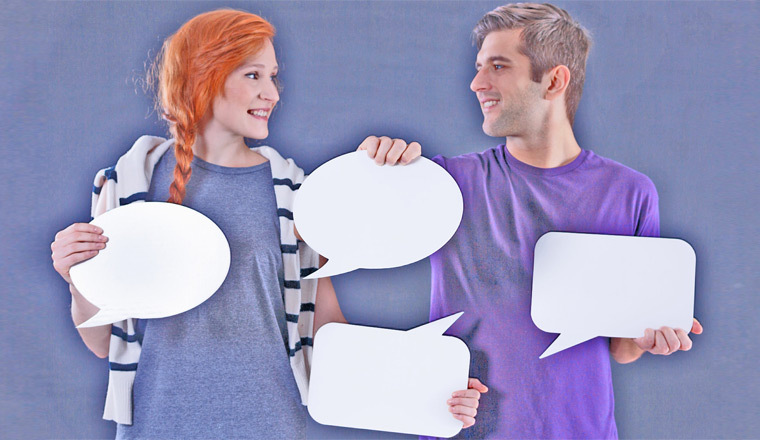 Here are some additional tips for building rapport, which have been sent in by our readers. Pick up on the small things… a dog in the background, are they at work, did you notice it was their birthday when you took the details? These small things build ‘real’ rapport rather than throw away comments or tricks to ‘manufacture’ rapport. As we speak to a customer a few times before they visit us, my team take notes of little personal thing ready for the next call e.g. the dog, holiday etc. ready for the next person calling them. These notes would have most likely of been stored in the contact centre’s CRM system, to provide easy access for the next advisor. Recap what you went over with the customer at the end of the call that so that they feel part of the solution. People tend to recall the last thing that was said to them, so this reinforces the positive steps taken. In our training, we prove that people get an impression of you on the phone within seconds. We turn around and say the same greeting (words) in 5 various ways, yawning to show tiredness, professional, angry and growling, flirty (which gets a lot of laughs), and shy and timid. When we turn around we ask for feedback and they guess each time the impression we have given them which demonstrates that we have said the exact same thing yet they made a quick impression. Involve the customer in what you are doing. Avoid/minimize dead air in the call. Dead air time is where neither the advisor or the caller is talking. This is often as a result of putting information into the computer system. 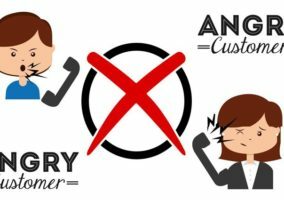 Ask the customer if it is OK to call them by their first name. If yes, this will allow the rapport to build and you will know the overall feeling of the customer as well as understanding what their communication style is. Alternatively, it could be recommended that you ask the customer how they would like to be addressed, which can work to the same effect. Tell your customer your name and that you will be looking after them today, remind the customer again at call close. This reassures the customer that they are getting personal treatment, and allows them to ask for the same advisor next time. 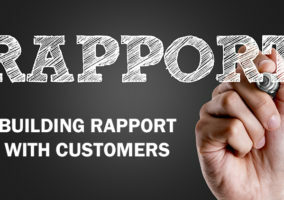 Have you done anything to help build customer-agent rapport in the contact centre? And, what words and phrases would you recommend using? Please leave your responses and any other thoughts in an email to Call Centre Helper. The pharase that would help to built rapport is…. How was your day been? What are your plans for the comming weekend? This is very helpful to me since I am a new in the BPO industry. Building rapport is all about building connection. Just talk to your customers. They are fond of small talk. Thanks so much so the information provided. I do find these phrases and vocabulary really helpful! I am a trainer in a call center, and I would advise all prospective and current agents to review this document. It is highly effective. Overall this article was very helpful however I want to point out an even better suggestion. Reaffirming the agent’s intention to provide a swift resolution. Early in the article the above was posted as a way to deal with upset customers. I view the way this is posed as as the opposite of a powerful statement. A better way to phrase this would be: ” No worries, we will help you get this issue resolved.” The previous statement leaves room for doubt in the agent and doubt in the company. This is highly effective! I’m looking forward for another helpful advices. This is very helpful and a very good practice. Good job for this site! This is a great help for those who take their work seriously as call center agents. Im a fresh grad and my first job is in a BPO industry. This would really help me in taking my very first call tomorrow. I believe this article lacks “ownership”. There are some great points, but owning a situation as your own and never deflecting to a system, policy or another person is a key point in resolving a issue that has escalated. Thanks for the helpful infos here! It is indeed a great help for me. GOD bless! you’ve just given me brilliant ideas. It’s not enough to read those phrases, you should say it with feelings. Intonation. Be perky! Remember: It is not about what you say , it’s how you say it! Thanks so much! I will use this to help my trainees! This has been so helpful to me.All the things that has been said were indeed true. Thank you and God bless. Keep it up.